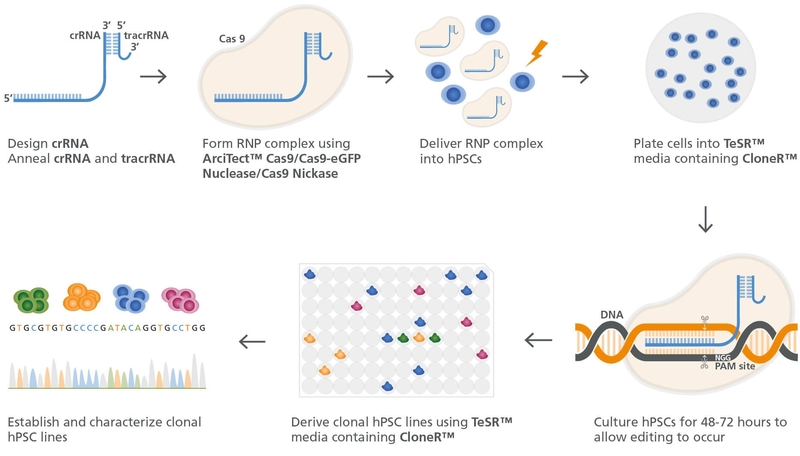 The ArciTect™ family of products for CRISPR-Cas9 genome editing provides you with a rapid, flexible and precise system to modify the genome as you see fit. The guide RNA (gRNA) complex, consisting of crRNA and tracrRNA, can be customized using the online order tool. 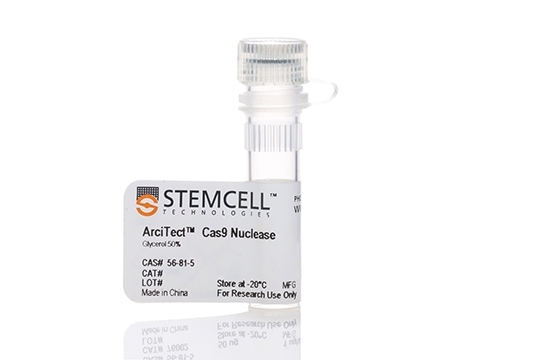 A protocol for the efficient genome editing of human embryonic stem (hES) cells or human induced pluripotent stem (hiPS) cells has been optimized using the ArciTect™ product family. 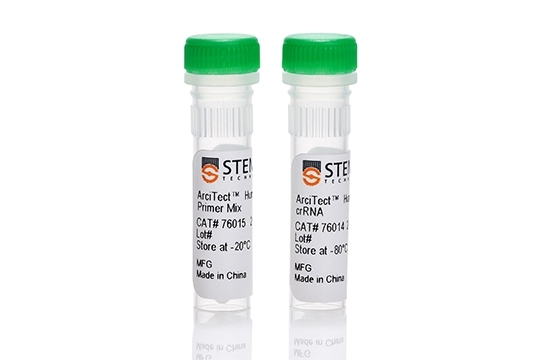 The ArciTect™ product family is a ribonucleoprotein (RNP)-based Cas9 genome editing system. Unlike previous CRISPR technologies which utilize plasmid or mRNA-based systems, the ArciTect™ system shows timely degradation of the RNP complex to minimize cleavage of off-target regions. CUSTOMIZABLE. Design crRNA to target your sequence of interest. FLEXIBLE. 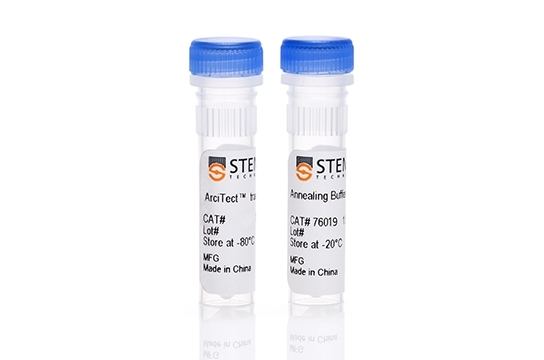 Multiple variations of Cas9 to suit your specific genome editing needs. RAPID. No need for transcription and translation. REDUCED OFF-TARGET EFFECTS. Timely degradation of the RNP complex to minimize potential off-target cutting. Figure 1. 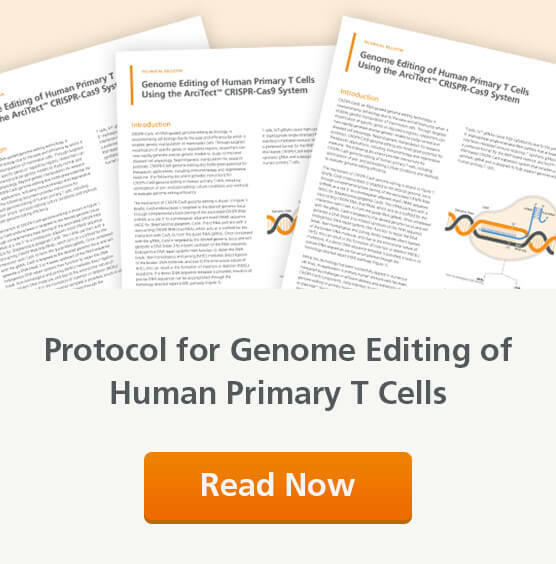 Genome Editing Workflow for Human ES and iPS Cells. Liang X et al. (2015) Rapid and highly efficient mammalian cell engineering via Cas9 protein transfection. J Biotechnol. 208: 44-53.